Terrorism is the deliberate use of violence against civilians to achieve political goals. Israel is in the midst of a wave of terrorist attacks caused by nationalistic and mostly religiously-motivated terrorists, who are fueled by incitement blaming Israel for attempting to profane the Aksa Mosque and change the status quo on the Temple Mount. These inciting messages have been vocalized for a long time by Palestinian terrorist organizations and in particular by Hamas and the Palestinian Islamic Jihad (PIJ), but they received additional impetus when Palestinian Authority President Mahmoud Abbas joined the chorus of instigators calling for Israel to stop “contaminating the Temple Mount” and King Abdullah II of Jordan blamed Israel for undermining the status quo. These declarations served as catalysts that spurred young, incensed and impassioned protesters to hit the streets and take the law into their own hands by killing and wounding Israelis. Israeli and Palestinian spokespeople repeatedly warn the Israeli public that the current escalation signals the onset of the third intifada. Hamas leader Ismail Haniyeh in fact desires it to be officially declared the third intifada. However, the scope of the riots is confined, and they are concentrated in very specific neighborhoods and areas in east Jerusalem and the West Bank – as is the case with the sporadic protests in Israeli Arab population centers. This is (still) far from an intifada (popular uprising), and is rather a wave of terrorism. Such waves usually occur against similar backdrops, in proximity to each other, and very often one attack influences the next as each attack serves as a role model inspiring more terrorists to carry out similar attacks. This state of affairs creates a terrorism epidemic. The current wave is a conglomeration of attacks carried out by incited “lone wolves” who use “cold” weapons – knives, axes, vehicles, etc. 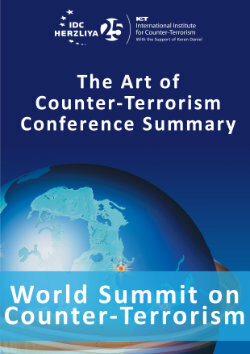 These attacks are also limited in terms of the damage they inflict and the number of casualties they cause (in comparison to attacks involving explosives, firearms and suicide bombers), but are more difficult to avert due to lack of preliminary intelligence information warning of an impending attack. 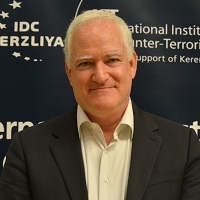 In the case of traditional “organized terrorism” (terrorist attacks carried out by terrorist organizations), where there are usually a number of activists involved in the initiation, planning, preparation and implementation of the attacks, security forces are often able to prevent the attack before it occurs. However, in the present situation, we are experiencing a deluge of “self-initiated” attacks, each beginning and ending in the raging mind of an incensed young man or woman, and usually there are no other accomplices involved. The escalation of the past few weeks should not surprise anyone, and we can even say that it was to be expected. The fact that the Israeli-Palestinian political process has been in a total deadlock for years – regardless of whether the Israeli government and\ or Palestinian Authority are to blame – has contributed to the rising tension in Jerusalem and the West Bank and to the creation of a highly explosive atmosphere. Thus, the diplomatic campaign against Israel recently launched by Mahmoud Abbas in the international arena, together with the riots at the Aksa Mosque that usually occur around Succot, did nothing to quell the tension in Jerusalem and its environs. From this perspective, the accusing finger should be pointed at both leaders – Prime Minister Benjamin Netanyahu and Abbas, who share the responsibility for creating conditions that enabled Hamas and other organizations to deteriorate the state of security in and outside of Jerusalem. Despite his apparent support for the two-state solution (as he first announced in the “Bar-Ilan Speech” in 2009 and recently verified at the UN summit), Netanyahu with his present and previous governments has not offered any political initiative. Nor have they pushed for any feasible solution or even deflation of the conflict. Abbas and the PA have invested most of their energy in hounding Israel from the rear at every possible international forum while raising real and bogus obstacles which prevent the renewal of political discourse between the sides. This wave of “cold” attacks does not deliver the goods that the Palestinians expected and hoped for, as it is shedding more Palestinian blood than Israeli. Therefore, and due to the decision of Abbas to take measures to halt the terrorist attacks, it is safe to believe that this wave of terrorism will dissipate in a few days or weeks. The question remains whether it might be replaced with a more deadly wave of terrorism (suicide attacks or rockets), or a popular uprising in the West Bank, or alternatively whether the situation will be stabilized. The answer depends on the policies that will be adopted by the Israeli and the Palestinian leaderships. What can and should be done, then, in order to mitigate the situation and halt the deterioration? Just as the security deterioration began from a position of incitement, discouragement and a lack of political prospects, the solution is to end the incitement, and to get back on the track of productive discussion between the Israeli and Palestinian leaderships. As the Palestinian incitement was inducing conspiracy messages of alleged Israeli efforts to change the status quo in Temple Mount – Israel needs to publicly ratify the agreed details of the status quo on the Temple Mount. Israel should also ratify the key role of the king of Jordan, Abdullah II, as the custodian of the Islamic holy sites in Jerusalem. Israel should enable King Abdullah to monitor the upholding of the status quo, both by the Israeli side and by the Palestinian side. That, for example, can be achieved by installing closed-circuit cameras around and in the Temple Mount that will be monitored by Jordan. Simultaneously, Israel should come up with a list of clear messages to the Palestinian people: on the one hand, warning anyone who engages in acts of violence and terrorism that they will pay a high price for their deeds, and on the other hand a political message that will increase hope and encourage pragmatism among the Palestinians. Israel must come forth with a new and sincere political initiative instead of being unwillingly dragged into negotiations with the Palestinians in the wake of international pressure. The PA must terminate the flow of incitement spread by PA leaders, opposition factions and terrorist organizations, and enforce order in the West Bank and Jerusalem. The PA must pause the diplomatic campaign it is waging against Israel, and both sides must increase security cooperation as recognition of mutual interests. Above all, Israel and the Palestinians must take actions to rebuild a trusting relationship, while moving forward together toward a long-term solution to the conflict.